I was unable to attend church today so I am unable to write up the service. However I thought I would write a personal reflection and include something that I see as relating to the readings. One of the first things we do on a Sunday in the service is to offer a prayer of praise and thanksgiving. I have a background in biology teaching and as a result I am very aware and thankful of the universe around us, from tiny bugs to great towering trees; from a pot plant in a corner to panoramic vistas. I have looked through huge telescopes and down school microscopes and am always amazed at the intricacy, the microscopic engineering and the impossible processes that keep our universe and everything in it buzzing along. And I thank God for it. I take none of it for granted. At the moment I am crashing into things a lot around my home and have bruised toes, but they always heal. That is amazing! My body knows to send stuff to my toes to fix them. On a grander scale, this country we live in just knocks me out. I love this place. I relate to Dorothea Mackellar's line, "Core of my heart, my country". Travelling around Australia, I have seen splendours that I cannot give thanks enough for. What a gift! Just outside! Then there are the people of this country. What a mix of God's children; what a mix of God-given talent! May we continue to be so different from each other, honing our particular skills and contributing the better part of each of us to make this world a better place. I didn't mean it to be, but this has turned out to be a bit of an Australia Day theme. Then we have a prayer of confession. My ongoing fault is lack of trust in God's ability to run his creation. I am always meddling, messing things up. But Jesus showed another way. I don't have to keep doing the wrong thing. And. God is merciful. He forgives. Thanks for that. The bible readings for today were from Jonah and the beginning of Mark. The Mark reading covered Jesus' calling of the disciples. For those of us who have never responded to that call, now could be the time. For those of us who have responded, it could be a time to renew our commitment or even check out whether or not we are following the example Jesus set as closely as we might. In the Jonah reading, Jonah was sent to warn a people of their approaching destruction because they had ignored God. The people repented and God was merciful. It seems these people were pretty terrible, but God's mercy was greater. So, in case you are thinking you have really overstepped the line too far, God calls us all - as we are. Then a strange thing happened. Jonah threw a tantrum. He wanted these evil people punished, it seems. It didn't suit him that God forgave them. Big lesson there. It is God who is in charge. (Note to self). All people who have ever lived or who will live, are God's creation and his children. Sometimes we forget that and make judgements about who makes the cut and who doesn't. God's mercy is available to all who seek it. There is that catch, though. God doesn't push his gifts into people who don't want them. It is the same with God's other great gift of love. Everyone on this planet is a child of God and is loved by God. It is not for any of us to call judgement on who can look to God for his love. But again there is a catch, That love cannot free us from whatever binds us unless we accept it and let it do its work in us. And it's not a once only thing, If my life is anything to go by there needs to be continual asking for God's healing grace which is free to us because of his great, boundless love. To all of you - a blessed Australia Day. That we have so much to celebrate is a gift from God too. Jan welcomed us saying, how good it was to see us and how good it was to be together on the Lord's Day. There's something about being together that is hard to analyse or explain. For many of us at MRUC it would be easier, because of medical conditions, to worship individually at home but we don't. We come together on a Sunday to worship together because it is different, it is enriching, it is better than not doing it. We go away ready to live our lives in a better way than if we hadn't been there. Let us worship, in praise and adoration, the God who knows us all. Hymn TIS 153 “God is love, let heaven adore him” God is love. We are all his beloved. We may not experience the fullness of that love unless we accept it but everything that exists, (living, non- living, plant or animal) shows the beauty of that love in some or many ways. Jan prayed for us, thanking our loving God for how we could come to him in prayer. She observed that, as we prayed, we were bonded together in love, faith and joy. She spoke of our hearing God call our name and of how we pledge to follow him. For us, she asked that God call us again because we desire to know him better. As we held our confession in our cupped hands, Jan talked of how we shape our lives by the decisions we make and how our memories are built by these decisions and give us our sense of who we are. But in those memories are the mistakes we can't let go. Our Father knows each one and is prepared to forgive each one, so as we open out cupped hands we let go of our mistakes and there is nothing left because God does not hang on to them. Then the words we wait to hear: Our sins are forgiven. Hymn TIS 597 “Master speak, thy servant heareth” Here we are, acknowledging the love we sang of in the first hymn and declaring that we are ready to hear the message of that love and to let it do its work in our hearts and minds. Do its work, that we will be bearers of God's grace to a world in need. Bible Readings- ​Pat brought the readings to us. 1 Samuel 3:1-10 God calls Samuel. Samuel didn't realise it to begin with. It can be the same for us. We have to listen carefully. ​​​John 1:35-51​ Jesus calls his disciples. We need to be taking notice, to be listening. It could happen any time - for any task - large or small. Sermon- The call of God- are we listening? God uses them for good: he uses them to jolt us out of our dependency on the wrong things. "For too long, Australians have made the pursuit of material things and looking after No. 1 their key goal in life. 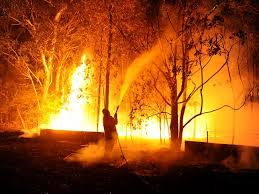 For many this drives their life and has been done at the expense of their spiritual life, of getting in touch with a loving creator, the one true God..." These disasters, along with others, like the Global Financial downturn make us realise that we can't depend on material things for fulfillment. 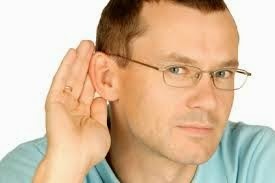 The reading shows that once Samuel realised that it was God who was calling, his response was, "Speak Lord, for your servant is listening". God had a job for Samuel; he has a job for us. That will being true fulfillment. Fulfillment that will remain. But we need to listen. "How often do we stop and allow the space for God to speak to us and be still and open to listen to God's voice? We all need to do this as individuals, to know what our priorities should be...We also need to do it as God's people together, and seek direction about the form our mission and ministry will take this year." And when we hear God - our response must be, "Yes". Hymn TIS 658 “I, the Lord of sea and sky.” We have heard God's word through the bible reading and Jan's sermon. It will not be the same word to each of us but if we open our hearts to God's message we will know what is needed. Who is to act on that word? Each one of us! Offering Having acknowledged that all goodness comes from God, Jan blessed the offering, as an expression of our love for others and prayed that the offering will be used for Gods kingdom. We can show love in many ways, sometimes just by paying attention to someone. Prayers of Intercession Jan again thanked our loving Lord for his greatness, speaking of those known to us who are suffering in any way, that God will make his living presence known to them, will keep them safe, and will make his nearness known so they will be guided in this time of care. Jan asked for God's help, that we will have the confidence to share with each other what we have received from him and that he will enrich us in hope and love. Jan prayed for those for whom we love and care - in their individual needs. She prayed that they might be aware that God is listening and that they will be aware of his hand on their lives. Jan brought before God the world with its unrest and division and asked that all people will be able to experience peace and safety. She asked God that we can be the people he wants us to be: she asked for him to strengthen us and our faith in him. For us, Jan asked for God's presence and guidance in drawing those around us into his community. We then joined together in The Lord's Prayer. Blessing The Blessing of God Almighty, the Father, the Son and the Holy Spirit be amongst you, and remain with you always. This week, in writing the Blog, I will have to rely on my “scratchy” notes - now almost unreadable even by me – but made most enthusiastically during an inspiring New Year Service led by Chris. It was important for the flow of the service so thoughtfully prepared by Chris that he began by introducing the meaning and significance of the Christian festival of the Epiphany we were celebrating today. Epiphany commemorates the manifestation of Christ to the gentiles in the persons of the Magi on the Twelfth Day of Christmas. I really liked the dictionary explanation of epiphany as; ”A sudden intuitive leap of understanding, especially through an ordinary but striking occurrence.” Does this sound like a description of Faith itself at the moment we acknowledge our Christian Faith? I think it does! 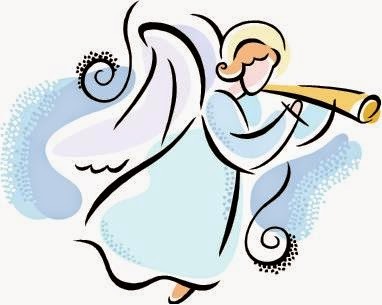 “A great company of the heavenly host appeared with the angel, saying, ‘Glory to God in the highest, and on earth peace to men on whom His favor rests.’” Luke 2:13-14. This Bible verse inspired James Montgomery (1771–1854) to write this beautiful hymn, just one of 400 he wrote in his life. For 32 years he was the Editor of the Sheffield Iris and it was there he first published this hymn on Christmas Eve, 1816. He was an advocate for foreign missions and the Bible Society and a poet of some repute. He used his paper to reprint a song in commemoration of the fall of the Bastille and printed an account of a riot in Sheffield. He went to goal for both of these perceived transgressions, however, in 1833 he was “rewarded” with an annual royal pension of £200 per year. Prayers of Praise and Thanksgiving Chris spoke in these prayers of the way our hearts rejoice in God’s presence - as he is the fulfillment of all our dreams – our Father and Mother, who knows every one of us by name and loves us. God is the source of all that is lovely and all that is good. He is willing to listen when we tell Him of the ways we have fallen short. Prayer of Confession/Words of Assurance Chris mentioned impatience and particularly the way our impatient explosions can “scald” others and cause tensions for everyone around us. In asking for God’s forgiveness, we were told we would feel His reassuring hand on our shoulders. This Old Testament passage is a thrilling prophecy for us to consider and enjoy – Verse 1; “Arise, Jerusalem, rise clothed in light; your light has come and the glory of the Lord shines over you”. This is a very familiar annual story which I thought must present a challenge to our preachers. 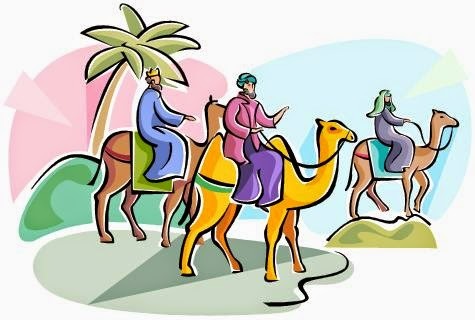 Chris assured us this was the REAL story – from the perspective of the Camels and told to him in Egypt; “straight from the camel’s mouth!” It was actually the camel’s idea to go in search of baby Jesus, so they had to look for riders to go with them. It was great fun and really - looking at anything from another point of view is always constructive – even in fun! We sang this Walter Chalmers Smith hymn just last week after the Blessing of young Ella – but it was a joy to sing it again this week. Chris had given so much contemplation to the preparation of this thought provoking Reflection I am not sure that I can put together my hastily written notes which consist of half finished sentences and ideas, in a way to do it justice. He noted that Mark and John leave Christmas out of their gospels altogether and therefore Matthew’s Gospel is the only source and it certainly doesn’t mention camels. Yet just as we travel today by cars or trains, it perhaps seemed obvious to suggest the wise astronomers would have travelled by camel in Biblical times. Today, Bethlehem seems to be in the news for unrest and troubles, but Chris reminded us that the East was at the time of the birth of Jesus an enlightened place of culture. Following the Dark Ages and Medieval times, we have come to accept that Western Culture is the source of all enlightenment. However he went on to suggest perhaps South America is becoming the new place of Christian enlightenment. I immediately thought about Pope Francis who was Archbishop of Buenos Aires before he became Pope. Guided by Chris, we considered the meanings of important words like knowledge and wisdom and the belief that wisdom is usually associated with age. He floated the idea that knowledge is prominent but wisdom is not. We explored the Calvinist ideas that suggest we don’t have choices about what we believe – freewill versus predestination – certainly not a concept I could accept. WOW – so many ideas to challenge our thinking, but so well put to us that I found the challenge quite exciting. We need to Praise God – God does not need our Praise! We are dependent on Him! God is not safe but he is good and God is awesome – ie. He inspires real awe. God became human – He is a Friend. God is Our Father. God is Our King. God is Love – we need to Praise Him! Prayers of the People: Our prayers were led by Ruth, who thanked Our Father for all the love and care we received during 2014 and reminded us that nothing can separate us from Him in the coming year of 2015. She prayed for the broken and divided world where refugees, homeless people and many who suffer through natural disasters, war or other devastating events in their lives are in need of our help and our prayers. We also prayed for Australia and for the people we personally know and for whom we care. Then we joined together in the Lord’s Prayer. Announcements: Warwick told us he has been doing some research about the first wooden church in which the first service was held in Marsden Road Carllingford 190 years ago next Wednesday. I found it exciting to see a copy of the original deeds for the land – now I will always look at that spot and remember our pioneer “saints” each time I drive along Marsden Road. Offering / Prayer: The offering was taken by Nerida and Alan and was presented for; “The work of the church here and in the wider world”. We were also urged to; “Give the gifts of our lives and Worship.” Amen. Henry Francis Lyte (1793-1847) graduated in 1814 from Trinity College Dublin with the intention of studying Medicine, but he changed this and studied Theology, taking Holy Orders in 1815. He was a prolific writer of poems and hymns - with perhaps his best known hymn being, “Abide with me”. His final appointment in 1823 was the position of Perpetual Curate of Lower Brixham, Devon, which he held until his death in November 1847. All the verses of this hymn are great, but my favourite is the third verse which offers assurance, comfort and mercy! “Fatherlike he tends and spares us; well our feeble frame he knows. In his hand he gently bears us, rescues us from all our foes. The Benediction & Blessing Chris urged us to; “Go now and seek out the Christ wherever he may be found.” We received a Blessing and were assured; “God will fill us with a sense of what is right if we follow Him.” Amen. Most appropriately, Grahame played “The March of the Magi” on the organ as we left the church - Thanks Grahame.